Matt Hawkins is one the busiest men in comics. Among his many duties, Hawkins is the President/ Chief Operating Officer of Top Cow Productions and a passionate writer and creator himself. Having published over a thousand comics in his 20 years at Image/Top Cow hasn't diminished his desire to continue to make great stories. 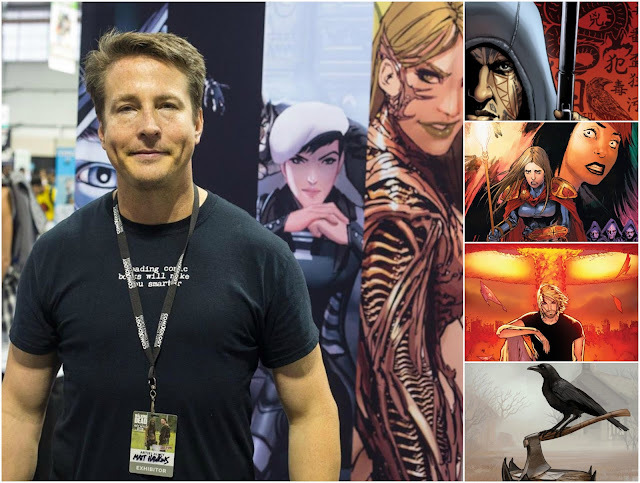 I was lucky enough to interview Matt earlier this year as his one-shot, Dante, was about to debut and discussed working with artist Darick Robertson, what keeps him going, and what more we can expect from him and Top Cow. 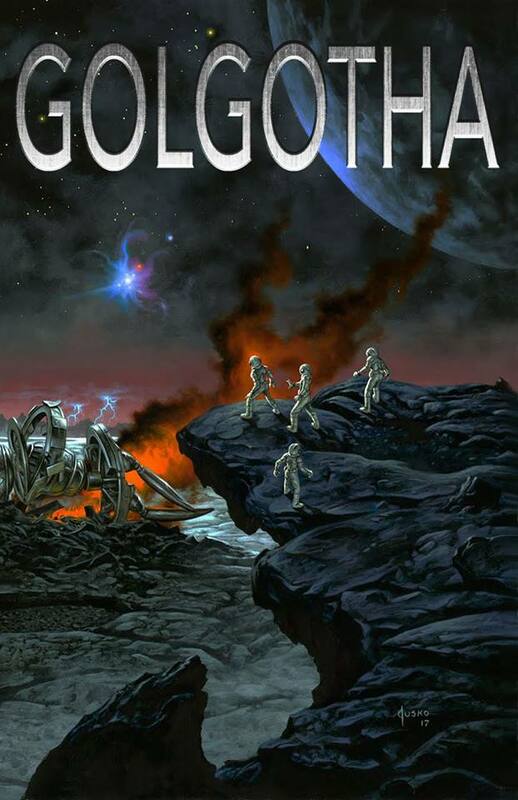 Also, be sure to check out his latest venture, a Kickstarter campaign for Golgotha, a comic co-written with Postal scribe Bryan Hill and artists Yuki Saeki and Bryan Valenza. See the promo video after the interview. Matt, you often write about characters that find motivation in the “ends justify the means” credo whether it’s robbing a megachurch to give to charity, the harboring of criminals to retain power and anonymity in a small town in Wyoming, or in the case of the one-shot ‘Dante,’ a man provides for his family as a cold-blooded assassin. What is it about your characters’ dichotomy that you find most interesting? I’ve never actually realized this, so first off, great question! I like characters with depth, especially villains. I really hate villains that are one-note bad guys. To me, every villain thinks they’re a hero in their own narcissistic twisted logic. I think heroes with flaws and bad habits also make them more interesting. People generally are not polarized good and evil, so playing with all those shades in the middle is fun. It has better emotional resonance and is fodder for great conflict. I’ve done some things in my life that I’m not proud of. I sometimes have a hard time rectifying to myself that the good person I think I am committed such an act. I’ve never killed anyone, but everyone pushes their own morality at times. I think, to sum up, the answer to the question is I find these characters more interesting and that makes them fun to write. The supernatural aspect of the book is centered in Chinese black magic called “Gu.” It’s the first I’ve heard of it so how did you come across it and what about it made it the perfect vehicle for this story? That came from the original outline creator/writer Jason Ning. I’d never heard of it prior to writing this either. It works in the story because it is so foreign and no one knows what it is. I think that makes it scarier and more mysterious. You’ve co-written books in the past. 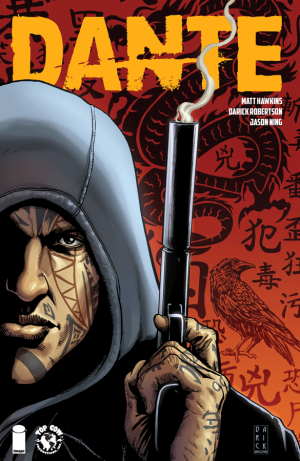 What was it like writing with Jason Ning and how do maintain a singular voice in a comic? Jason wrote an original one-page outline a couple years ago and I was hired to write the comic. I did several drafts and eventually submitted one and he did a minor dialogue tweak pass on it. I think I spoke to him once. I worked through Cryptozoic Entertainment for that one. They’re the ones that hired me. Darick Robertson seemed like a perfect fit for ‘Dante.’ What is it about his style that lends itself to grittier storytelling like yours? Darick is a madman of amazing skill and talent. It was a pleasure to work with him on this. Clean and pretty linework works well for super-hero stories, but Darick’s work has a rawness to it. An edge that makes is exciting and kind of scary in a good way. I’m hoping to work with him again real soon. The comic book industry can be a tough business. How do you keep the passion alive for a medium that is so often undervalued? I have an incredible amount of freedom to essentially write whatever I want. That’s pretty awesome. Especially when it all gets published too! That freedom has a responsibility though so I have to vett what I do carefully. I have to keep the company alive and thriving! I genuinely love what I’m doing and work hard to keep building readership. It’s never easy, but no one ever said it would be. Top Cow seems to march to its own drumbeat. It’s been able to fly above the fray, avoiding major reboots, unnecessarily huge crossovers, and a reliance on superheroes. What can we expect in 2017? We’ve got some major reboots, huge cross-overs, and a new super-hero line...just kidding =p We’re continuing Postal, Think Tank, have a new Samaritan series all from the Eden’s Fall line. In the Sejic Sunstone world, we’re launching a new title called Swing by me, Jenni Cheung and Linda Sejic. In the Top Cow Universe, we’ve got new Magdalena, Tom Judge and one other that we’ll be announcing at ECCC. “Golgotha,” is a new Kickstarter project from Top Cow Productions and writers Matt Hawkins and Bryan Hill, and artists Yuki Saeki and Bryan Valenza. Check out this promotional video and consider donating to this exciting sci-fi epic.